9:42 AM I have too many harps to list, let me know what you are looking for and if I have it, I will set it up for you. Mostly Special 20 and assorted Suzuki diatonics. Oh, and a bunch of altered tuned harmonicas, if you want to try playing a harmonica where the notes aren't where you expect to find them. Michael Mitchell Harmonica Canada is not taking any new orders for a time. I'm busy with carpentry jobs, not enough time left to devote to making custom harps. 9:06 PM I am a Hohner affiliated customizer. I offer custom harps, combs and the most complete tool kit available. 3:33 PM I'm two custom harveyharps away from being caught up. That means a quick turn around time. Check out www.harveyharp.com. 6:53 PM I have a brand new, never been opened Crossover in E for sale...$65. 12:21 AM I've sent you an email, Mike. I hate the spam filter. 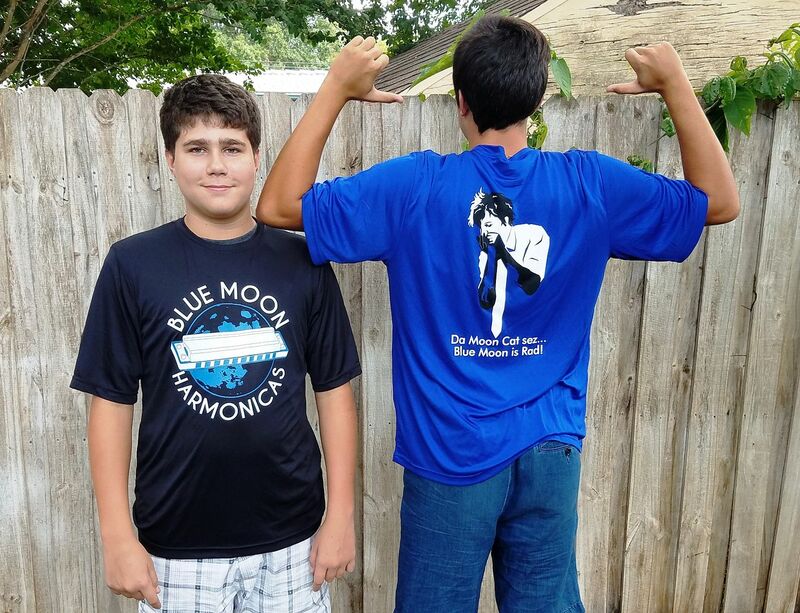 I am very excited to announce a new product line from Blue Moon Harmonicas LLC. 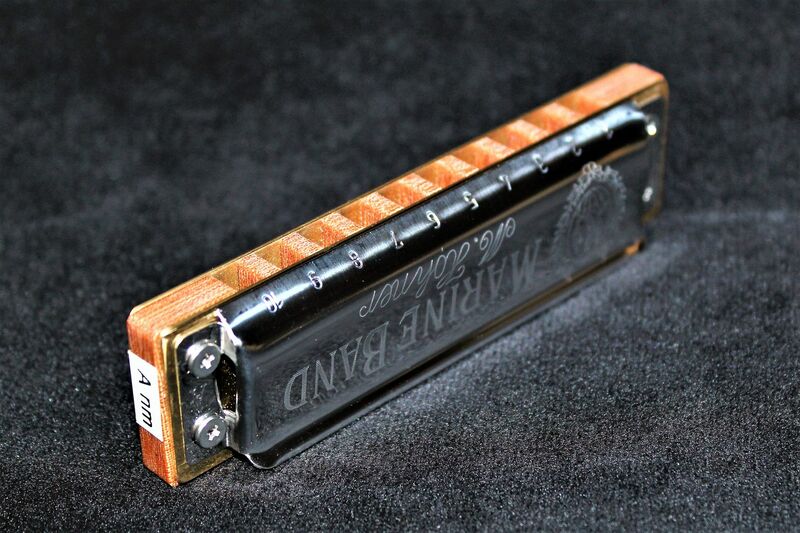 Typically, every harmonica made by Blue Moon is a one-of-a-kind creation designed by the customer. 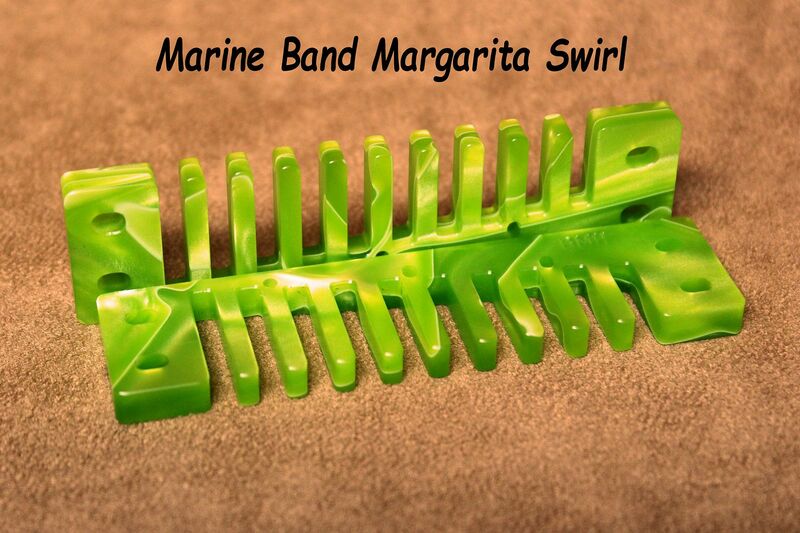 We offer a tremendous variety of combs from which to choose and a wide assortment of professional quality harmonicas. 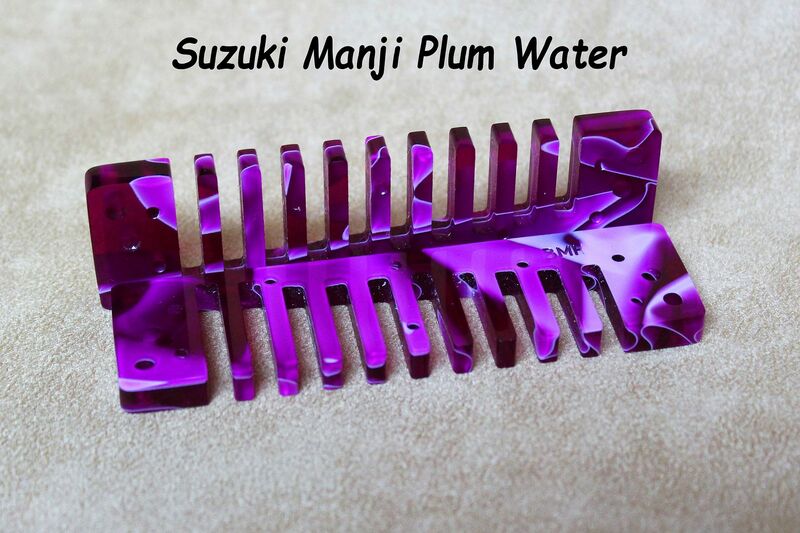 You can choose the brand, model, key, comb material and comb color. 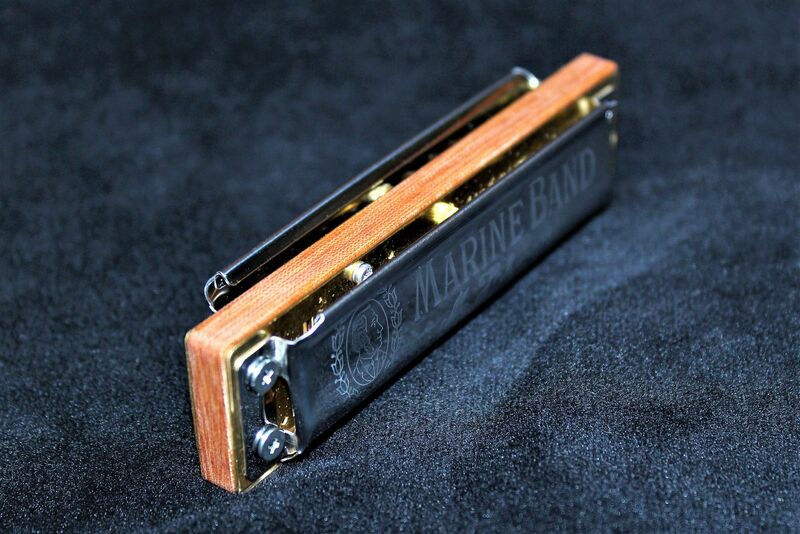 Consequently, each harmonica is built to order only after our customer places their order. This means that it can take 3-5 weeks for your harp to be built and shipped. Ready-to-Go Harps are an alternative to waiting for perhaps a month to receive your harp. 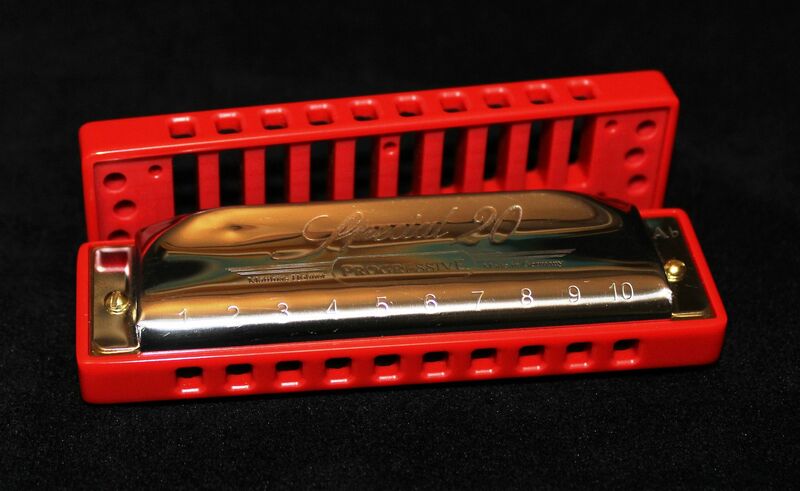 It is an opportunity to purchase a professional quality harmonica built to the same standards as the one-of-a-kind creations which are built to order. No Substitutions Please – Please do not ask us to swap out the combs on the Ready-to-Go Harps with a different color or material. It would defeat the purpose of the concept, which is to ship the harps out immediately, without delay. 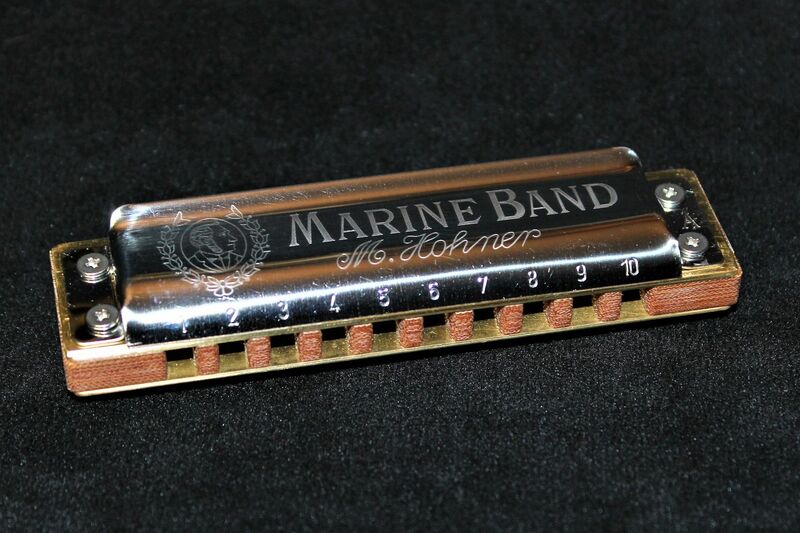 In this initial batch we have a selection of 33 Hohner Marine Band Deluxes and Crossovers. All are priced at $169.95 each. 8:42 AM these look interesting. 12:33 PM Wampler Faux-Analog Delay, for sale. Boxed, pristine condidtion - used a few times at home. Seems to be discontinued, so quite hard to get hold of. £100 to a forum member (UK only), before it goes on Ebay. 3:02 PM If you need help with cold sores, canker sores or fever blisters, check out www.lipsanna.com . 100% natural cold sore relief. 9:34 AM I specialize in modified Hohner diatonics and most make and model Chromatics. Click on my user name for contact info. I haven't been around for a while. A lot of folks are gone from MBH and a lot of new folks are here. I thought it would be a good idea to introduce myself again w/ the following info. In case any of you aren't aware that Mark Prados (MP) is back repairing harps, I wanted to tell you that he is. Mark does a great job at a more than reasonable price with quick turnaround. He is also great with communication and suggestions, and is willing to share tips on how to do it yourself. You can't go wrong working with him. That is not to say that others on this forum don't also do quality work. Couldn't have said it better. Mark is First Class. Mark cleaned up 4 of my harps so well, I sent him an additional 6. It’s like having a 50,000 mile service for your car – it runs better after. Same for harps. I took a bunch out of my 'bad harp bag' -they were unplayable, out of tune, bad reeds, etc. I am not a talented bench worker and have destroyed some harps so better to turn them over to Mark who fixed them up for very reasonable price. They play like new. I referred Mark recently and he has a very nice boiler plate email he sends to new customers with detailed shipping options and instructions as well as prices. Good business.. ! 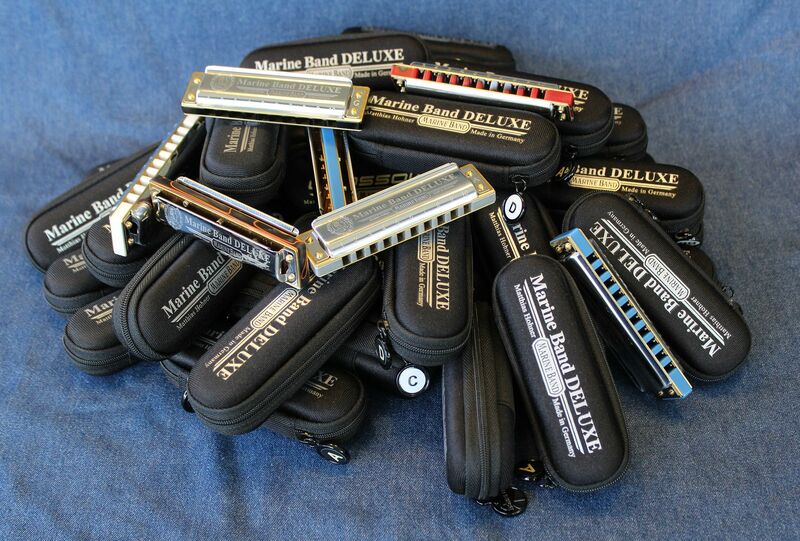 Reasonably priced Reed Replacement and free tech support on Hand Made Series Hohner Diatonic Harmonicas. 'Making the world a better place, one harmonica at a time. 11:40 AM I am very excited to announce that we have a new batch of Ready-to-Go Custom Harps available from Blue Moon Harmonicas LLC. We have 32 beautiful Hohner Special 20s with Hot Red Dupont® Corian™ Combs. I you don’t love it, we’ll buy it back from you! 2:21 PM I have a few new Fancy Acrylic Colors available – Plum Water, Margarita Swirl and Moonstone Water. I have also started using a new material called Linen Phenolic. It is fine cotton fabric embedded in a phenolic resin. It kinda looks like wood and is very solid. 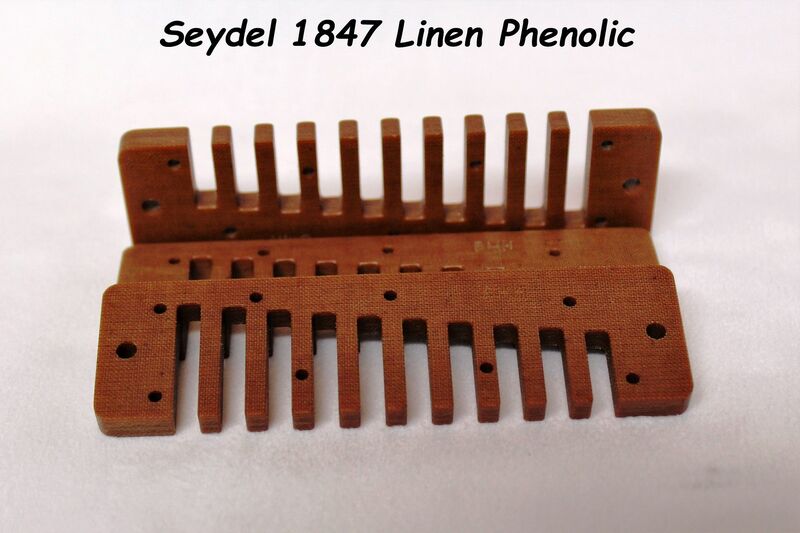 I tested the material by making Manji combs a few months back and the response has been very favorable so I am now offering them for the Marine Band and the Seydel 1847. 6:53 AM I recently started using Linen Phenolic to make combs. Linen Phenolic is a phenolic resin with fine cotton fabric embedded to add strength to the material. It mills super flat and has a look, feel and tone similar to wood. Naturally, I am now making this comb available on custom harps. 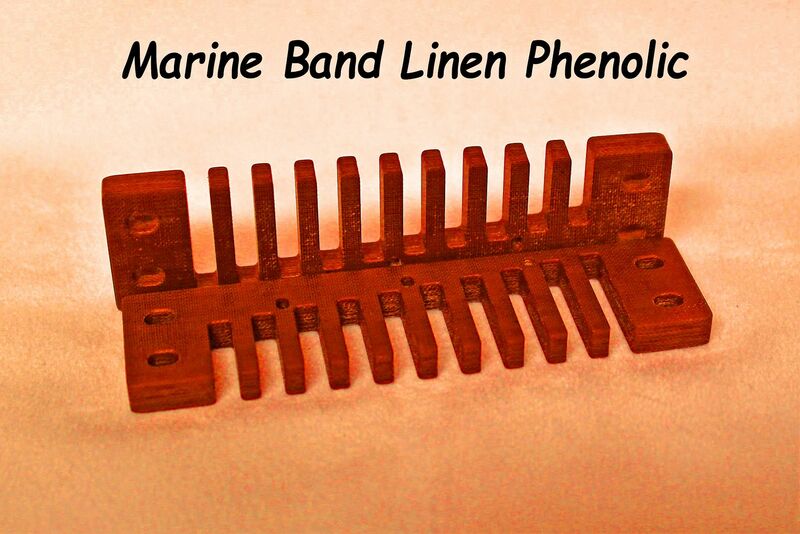 Here is a look at the Classic Marine Band 1896 with a Linen Phenolic Comb. 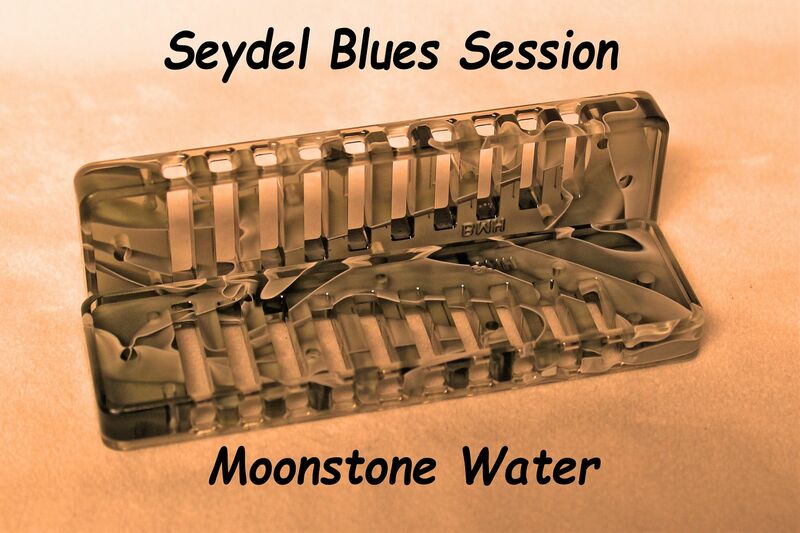 Available at BlueMoonHarmoncas.com for $139.95. 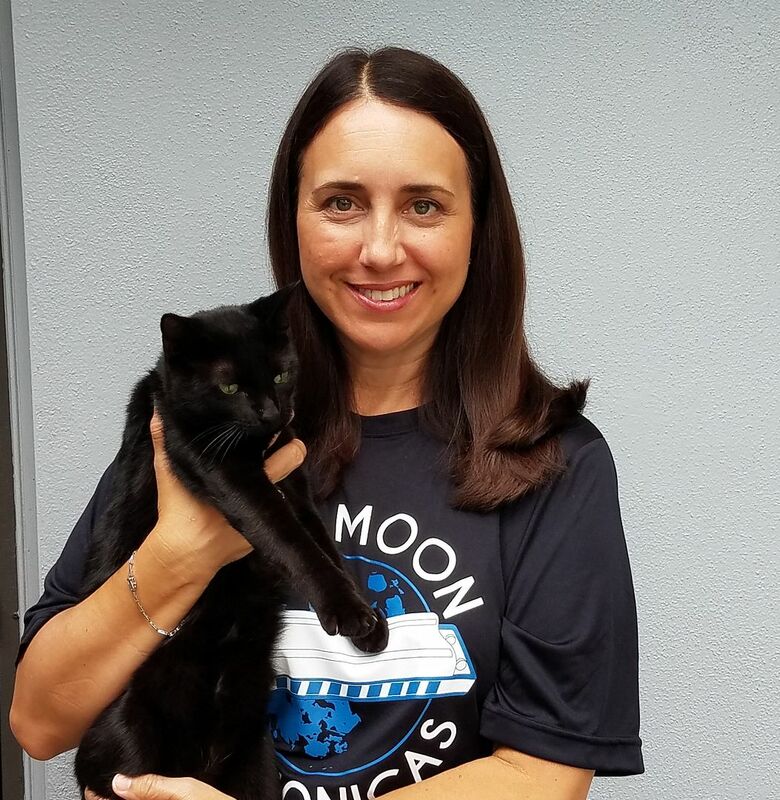 Our T-Shirts are screen printed on light weight 100% polyester fabric. They have a silky feel, are very comfortable and will not shrink. Available in Black with Blue and White Screen Printing or Blue, with Black and White Screen Printing. 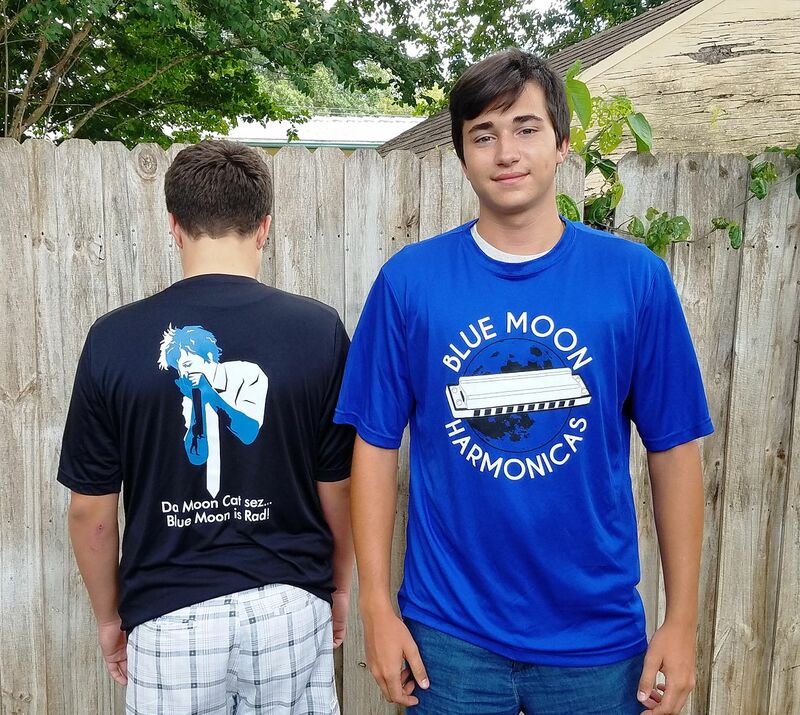 The front features the Blue Moon Harmonicas Logo and the back features a silhouette of Jason Ricci, the Moon Cat himself, proud Endorser of Blue Moon Custom Combs and Custom Harmonicas. Available in sizes Small, Medium, Large, XL and XXL. 3:02 PM Holiday Reed Replacement Sale. Due to a recent pricing mistake (my bad! )and the season I'm doing an $18 special rather than the normal $30. Reasonably priced Reed Replacement and tech support on Hand Made Series Hohner Diatonic Harmonicas. 3:20 PM Ok, so you broke a reed, or maybe lots of reeds. You go online, say what you did and ask what can be done about it. Well, they are right about the blowing too hard bit but so what! You learned your lesson and that is you'll be a little more careful about sharing online. All you were doing was enjoying yourself when the scatological expletive reed broke. Life is like that. I've broken hundreds since 1972. I don't break them anymore but I'm not a hypocrite and won't cast any stones at you my friend. Anyway, I've got a special these holidays for $18. Or, Ron Hobdy (bless his heart and he's the best)@ RockinRonsmusic4less had MBs for $44 last I looked. Will check if I'm wrong. Edit. Actually $44.99 but it's free shipping. SP/20s are about the same and Golden Melodies a little more. Deluxes are $62 and Crossovers are $72. Some MS models are $29. This is an old video. I now use new reeds, rivet sticks, screw posts w/ nuts, etc. I will use older reeds w/ this process if they are clean, have volume, serious strength, and the necessary overtones one finds on brand new harps.